Subject: "CONTACT YOUR CLAIMS AGENT IMMEDIATELY"
"CONTACT YOUR CLAIMS AGENT IMMEDIATELY"
SOUTH AFRICAN 2010 NATIONAL LOTTERY International. We are pleased to inform you of the result of the just concluded final draws (#1068) of the SOUTH AFRICAN 2010 Lottery International Online Sweepstakes program held on Saturday 15th July, 2006 which is now available for claims. 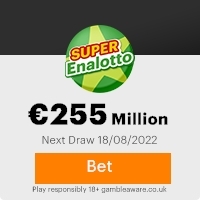 Your participation for this online lottery was selected from your Email Domain and your Email address luckily won the raffle ticket that entered you for the raffle draw whose results has just been released. This online cyber lotto draws was conducted from an exclusive list of 21,000 e-mail addresses of individual and corporate bodies picked by an advanced automated random computer search from the internet. The SOUTH AFRICAN 2010 Lottery International Online lottery is sponsored by the SOUTH AFRICAN Government/SOUTH AFRICAN FOOTBALL AUTHORITY and is approved by the SOUTH AFRICAN Gaming Board and also licensed by the International Association of Gaming Regulators (IAGR). We choose this method of winning notification to our winners to promote the use of the internet and e-mail. The Principals and employees of the SOUTH AFRICAN 2010 Lottery International Lottery and its respective Parents, subsidiaries and their immediate families are not eligible. NOTE: NO TICKETS WERE SOLD FOR THIS ONLINE PROMOTION, WHICH IS WHY YOU HAVE BEEN ASSIGNED WITH YOUR REF NUMBER AND BATCH NUMBER TO IDENTIFY YOU. You have therefore been approved to claim a total sum of #750,000 (Seven hundred and fifty thousand pounds sterling) in cash credited to file KTU/9023118308/03. This is from a total cash prize of #16,500,000 shared amongst the (22) lucky winners in your winning category 'Match 5 plus'. Your prize award has been insured with your e-mail address and will be remitted to you upon meeting our requirements, statutory obligations, verifications, validations and satisfactory report. It is our standard practice to allocate accredited agents for the processing of claims application. In other to claim your #750,000 (Seven hundred and fifty thousand pounds sterling) prize winning, you are required to fill out the (VERIFICATION AND FUND RELEASE FORM) below and send it to our under listed licensed and accredited Fiduciary agent via fax or email for proper legal verifications. It is also imperative that you call our fiduciary agent with the official telephone number below. Accredited Fiduciary Agent: DR AHMED UMAR. a.) Note that there exists a periodic condition on all claims process; therefore you have limited time to claim your winnings. Failure to claim your winning within the stipulated time frame will lead to the forfeiture of your winnings after which your winning funds will be added to next winning draws. You are therefore adviced to complete the VERIFICATION AND FUND RELEASE FORM and send it immediately to our accredited Fiduciary agent through email o for prompt collection of your winning funds. b.) Due to our security measures to avoid double claiming or unwarranted taking advantage of the situation by other participants or impersonators, you are advised to keep your winning details of this award personal/confidential from any third party till your claims have been processed and your funds remitted to you, as any discrepancies resulting from a breach of this confidentiality on the part of the winners will be covered solely by such winner as our staffs are bound by the oath of secrecy taken on employment. ***Your Winning Informations Should be released only to your accredited Fiduciary agent for legal and security reasons !!! Once again do accept my hearty congratulations on behalf of the staffs and members of the SOUTH AFRICAN 2010 national Lottery Online Sweepstakes International program !!! This Email with the Subject ""CONTACT YOUR CLAIMS AGENT IMMEDIATELY"" was received in one of Scamdex's honeypot email accounts on Mon, 04 Dec 2006 00:58:13 -0800 and has been classified as a Generic Scam Email. The sender shows as "EMAIL LOTTERY" <emaillottery@atlas.sk>, although that address was probably spoofed. We recommend that you do not attempt to contact any persons or organizations referenced in this email, as you may expose yourself to scammers and, at the very least, you will be added to their email address lists for spam purposes.